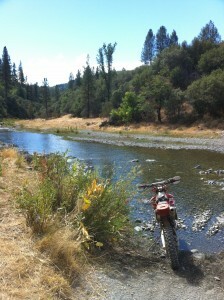 I went dirtbike riding @ Upper Lake (Penny Pines) this weekend | LegNeato! My uncle, cousin and I went riding up at Upper Lake this weekend. Specifically, we used Penny Pines as basecamp. It was pretty fun, though it was a bit dusty. I unfortunately couldn’t find the mount for my helmet camera so I don’t have any videos. I did manage to take a couple of pictures with my iPhone though. 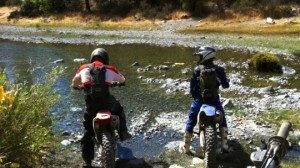 The creek was a lot lower than last time we went riding!